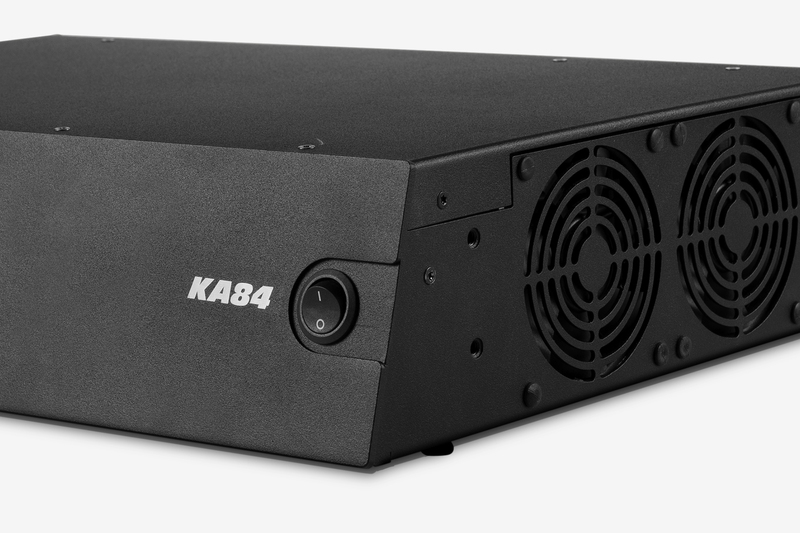 Taking command of the controls, K-array’s line of power amplifiers, Kommander, is comprised of the KA14, KA24 and KA84. 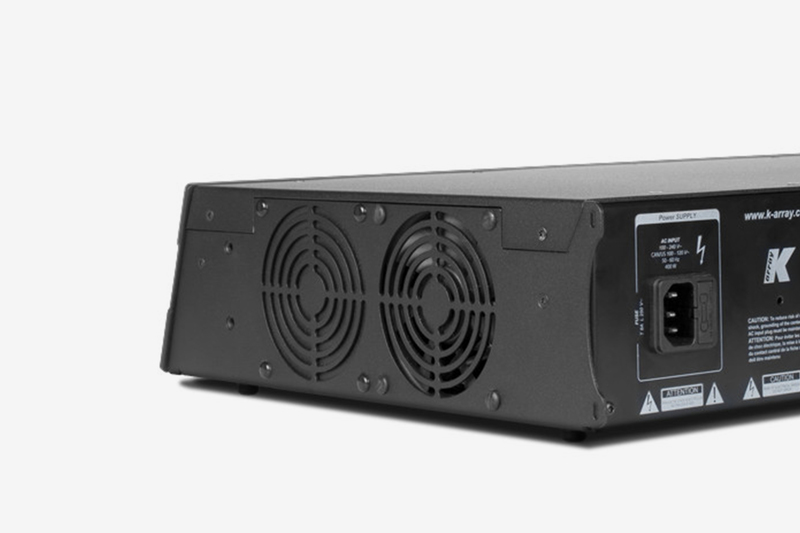 The versatile line features four fully-independent and configurable output channels and the integrated DSP offers EQ, Matrix, Levels, Delays and a Limiter to avoid the need for additional external processors. The front panel has an easy-to-use touchscreen that gives access to all the basic functions for quick setup. 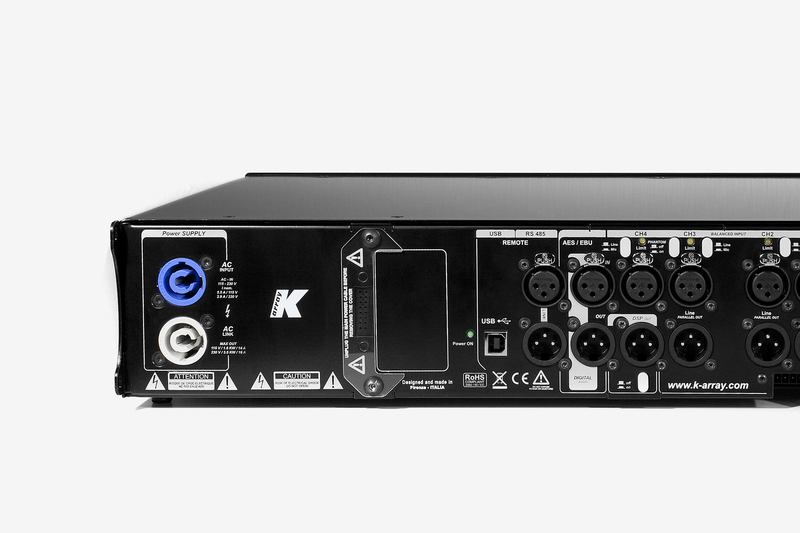 Kommander line is a complete system and can be used as a mixer for fixed installations thanks to the XLR and RCA analog inputs. 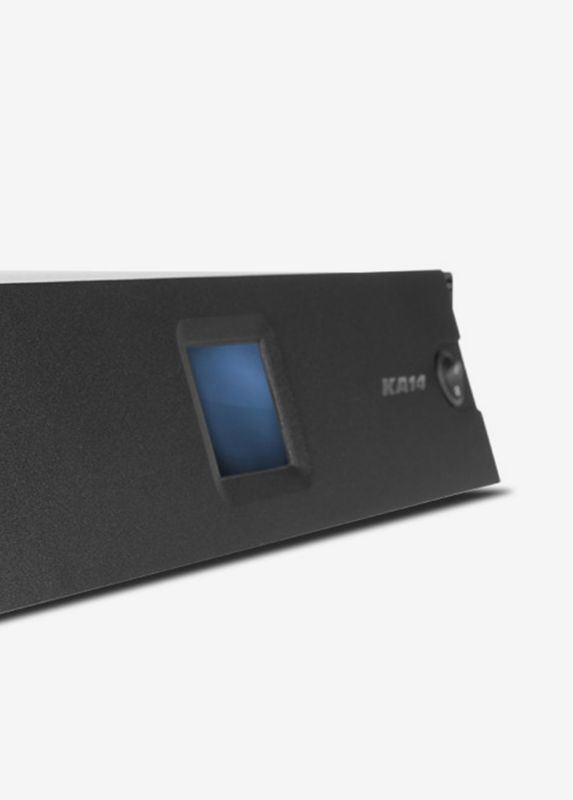 An onboard library preset with K-array speaker gives an optimal and easy configuration for endless combinations with the Lyzard, Vyper, Tornado and Rumble loudspeaker lines. 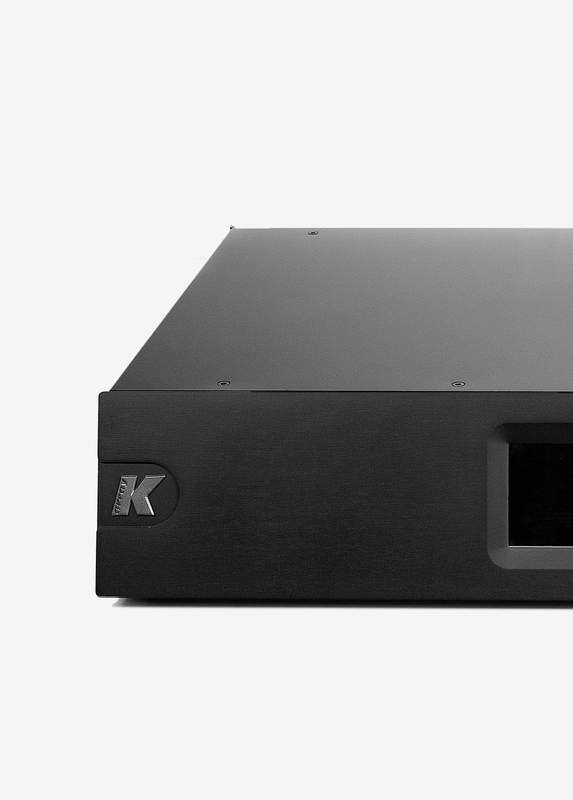 All DSP functions are remote controlled via the K-framework software over USB connector. 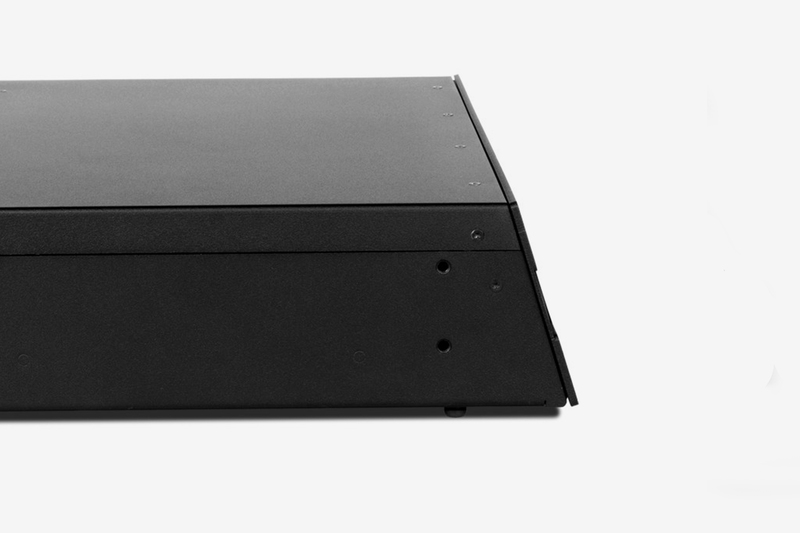 The amplifier is built into a lightweight yet tough 2U chassis and comes with a kit of removable rack adapters and four rubber pads for flat surfaces. 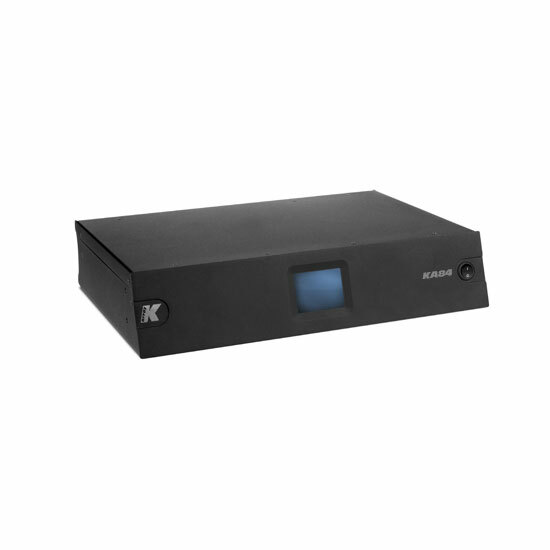 Kommander amplifiers feature optical limiters and protection against overheating, overcurrent and short circuits to command all your system’s needs. Kommander line products can be successfully used in a range of different settings and events.